Low estrogen levels can be an early indicator that a woman is going to enter to the menopausal stage. Menopause symptoms overlap with the symptoms of low estrogen levels, but they can also include: vaginal dryness, changes in odor, irregular heartbeat, and digestive problems. Estrogen plays a fundamental role in women's bodies. It regulates and controls one of the most important biological functions of a woman. Estrogen is essential for the menstrual cycle and controls many functions related to reproduction. Low estrogen usually occurs in women as they approach middle age. Low estrogen is usually an indication that menopause symptoms will begin. Perhaps one of the most volatile symptoms of menopause, is mood swings. Mood swings symptoms can include: thoughts of sadness, aggression, and irritability. The importance of low estrogen symptoms is that while they may be grouped with normal hormonal changes and cycles, it can sometimes be an indication of more severe problems. Low estrogen can sometimes go unnoticed in many women and identifying the possible symptoms of low estrogen is of critical importance. Some ailments are important in assessing if a woman is potentially suffering from low estrogen levels. These include: depression, panic attacks, atherosclerosis, low self esteem, and vaginal infections. This mixture of mental and physical problems can be a major upheaval for many women. The upside of low estrogen symptoms is that once identified many of them can be easily treated. A number of treatments exist for women who want to reduce or reverse the effects of a loss of estrogen. Hormone replacement therapy (HRT) exists to reintroduce estrogen into the body and rebalance the hormones of menopausal women in an effort to stop such symptoms. 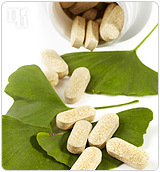 Phytoestrogenic supplements are also used to carry out a similar function. Many of these herbs, such as ginseng or black cohosh, work with the human body by encouraging the regeneration of estrogen by introducing plant like estrogen into the body. Both treatments come with a certain degree of risk and careful consideration, and a consultation with qualified healthcare professionals should be undertaken before any course of treatment is decided upon. What are the alternative treatment methods for a lack of estrogen? Using methods such as HRT or phytoestrogenic herbs entails a degree of risk that many women are not willing to take. In these cases, many turn to the use hormone-regulating supplements (such as Macafem), which contain many of the benefits of phytoestrogenic supplements, but without many of the harmful effects.